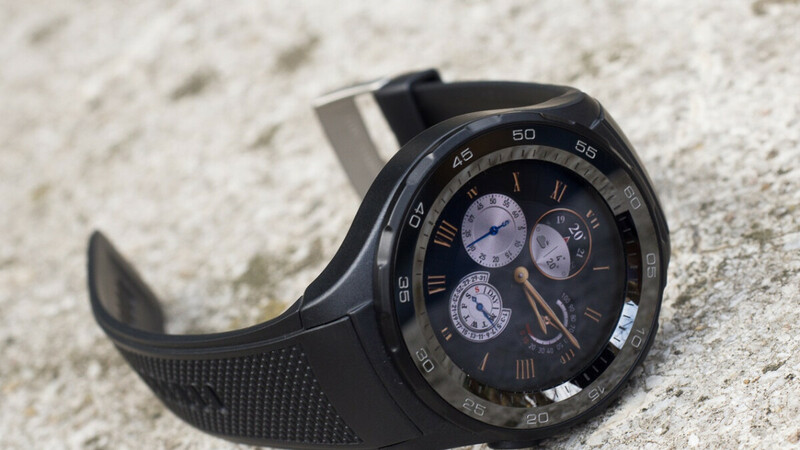 If you’ve started to get bored of all those stylish Wear OS smartwatches from traditional fashion brands, most of which are not very feature-packed, it appears both LG and Huawei are gearing up to unveil their latest Apple Watch rivals. Following in the footsteps of a nearly two-year-old Huawei Watch 2, the Huawei Watch GT is expected to arrive alongside the Mate 20 and Mate 20 Pro smartphones on October 16. A number of already rumored specifications are reiterated in a new report from WinFuture’s prolific Roland Quandt, who is also in a position to reveal the first (low-res) Huawei Watch GT Classic render. Like its forerunner, the Watch GT will apparently be sold in two different variants, dubbed Classic (or Fashion) and Sport. Oddly enough, both models are tipped to offer Multi-Sport and Sport Coach functionality, mainly differing from a cosmetic standpoint. As such, the Huawei Watch GT Classic is pictured with a black-and-silver bezel, as well as an extremely elegant brown leather strap, while the all-black Watch GT Sport should probably follow its predecessor’s suit by settling for a workout-friendly rubber band. That must mean Qualcomm’s new energy-efficient Snapdragon Wear 3100 processor is finally starting to spread, although it might be wise to wait for official confirmation before getting too excited. Built-in GPS, NFC support, 4GB internal storage space, a compass, barometer, and accelerometer are among the Huawei Watch GT features Quandt is ready to vouch for, along with (vague) water resistance. A heart rate monitor is also possible but not quite etched in stone yet, while European pricing should circle the €199 mark as far as the Sport version is concerned and €229 for the Classic flavor. That’s not bad at all, and it could mean the Huawei Watch GT will start at an affordable $199 in the US. Once again, Over sized bezel ring, what is wrong with Huawei, the classic should have thin bezels like the W1, not everyone have very big wrists for a 46mm watch. I 100% agree. The Huawei W1 was the best looking smartwatch to date. It blows my mind how Huawei has yet to improve on that design.